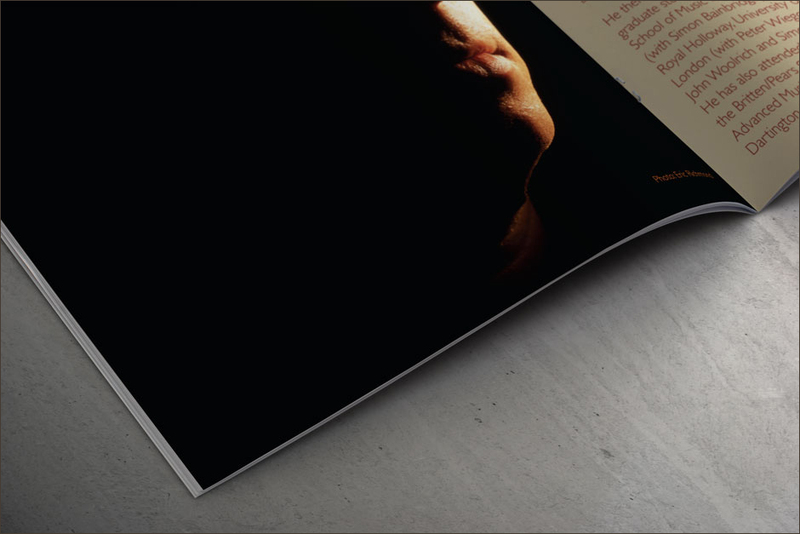 BMG Music Publishing is one of the largest music publishers in the world. They publish works by artists such as Coldplay, Paul Weller and The Who. 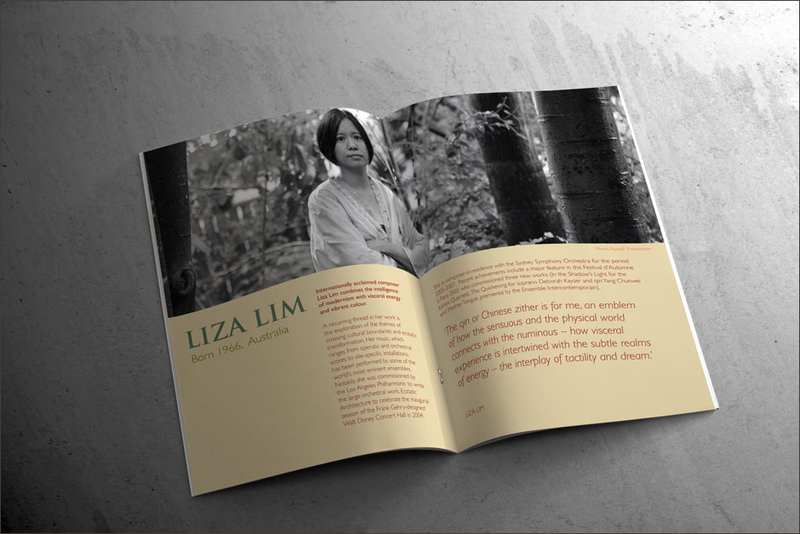 Their classical division BMG/Ricordi asked Mono Industries to design a brochure for Chinese born Australian Liza Lim. 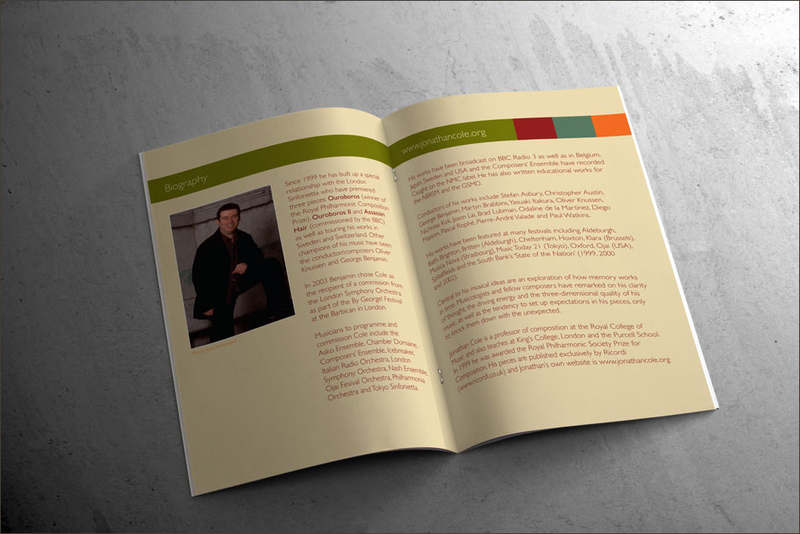 The design for Liza’s brochure went down so well that other BMG/Ricordi Artists wanted their own version. 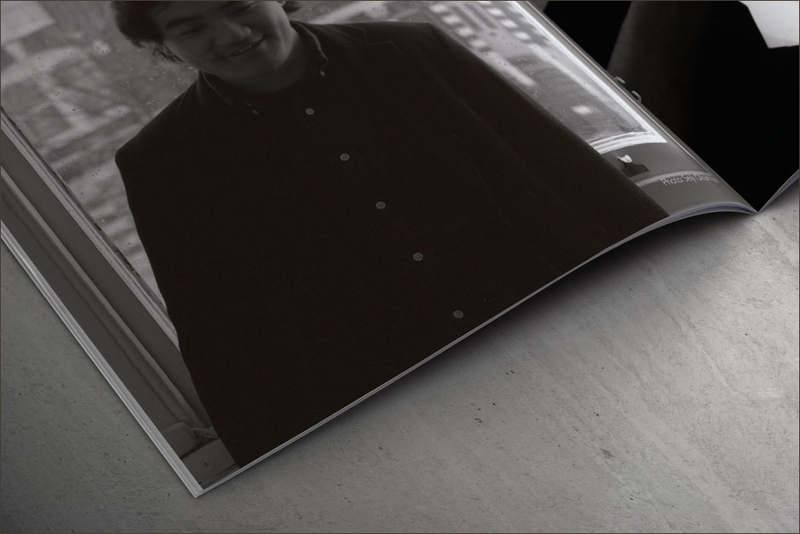 Jonathan Cole was next, swiftly followed by Dai Fujikura. Mono Industries are the best! 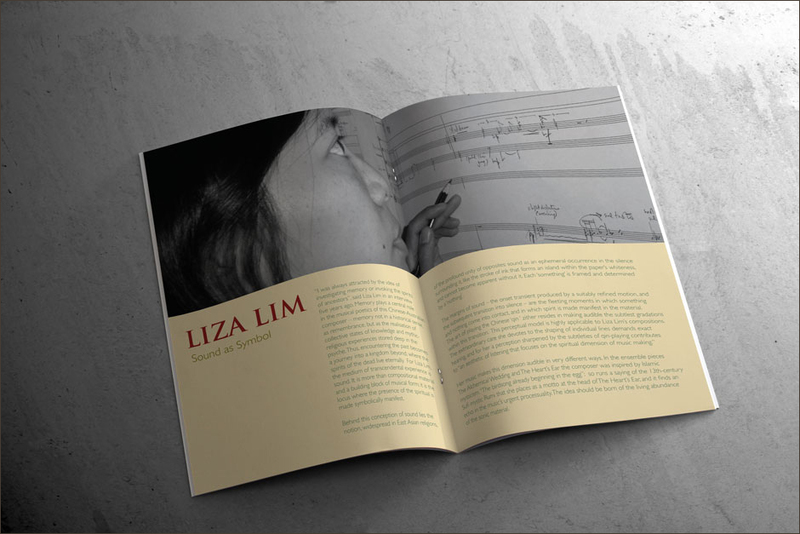 Nick designed a beautiful catalogue for our Australian composer Liza Lim, who was absolutely thrilled. 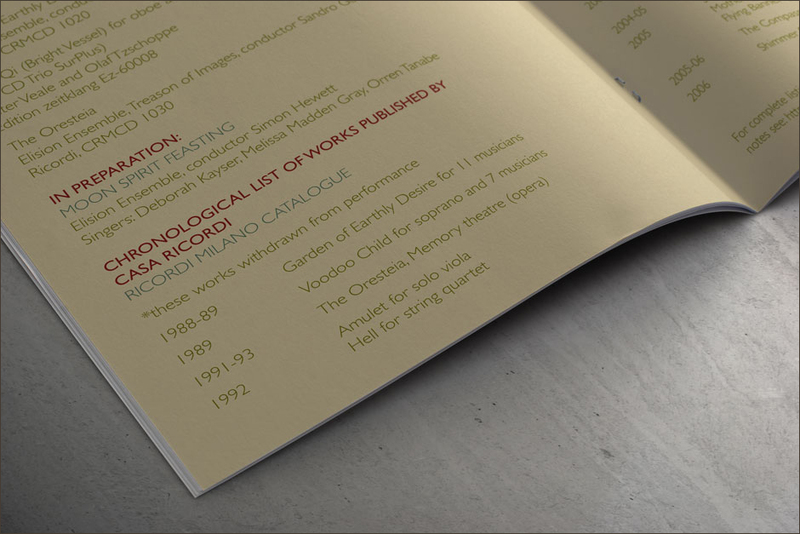 We’ve since asked him to design catalogues for two other composers, who have both been completely delighted with the results.